There are various policies available out-of-the-box with 3scale, but you are not limited to those. With 3scale you have complete access to the gateway policy framework to write custom code that implements new API Gateway features on top of the basic APIcast policy built-in to the API Management. URL rewriting: Allows you to modify the path of a request using the OpenResty web platform sub and gsub operations. Echo: Prints an incoming request back to the client, along with an optional HTTP status code. Adding headers: Headers policy allows you to modify existing headers or define additional headers to add to or remove from an incoming request or response. Upstream: Allows you to parse a host request header using regular expressions and replace the request header URL with a new URL. SOAP: The SOAP policy matches SOAP action URIs provided in the SOAPAction or Content-Type header of an HTTP request with mapping rules specified in the policy. Offline operation communication: The authentication caching policy caches authentication calls made to the API Gateway. You can configure how the cache operates by selecting an operating mode. Hence, take a look at the following video. 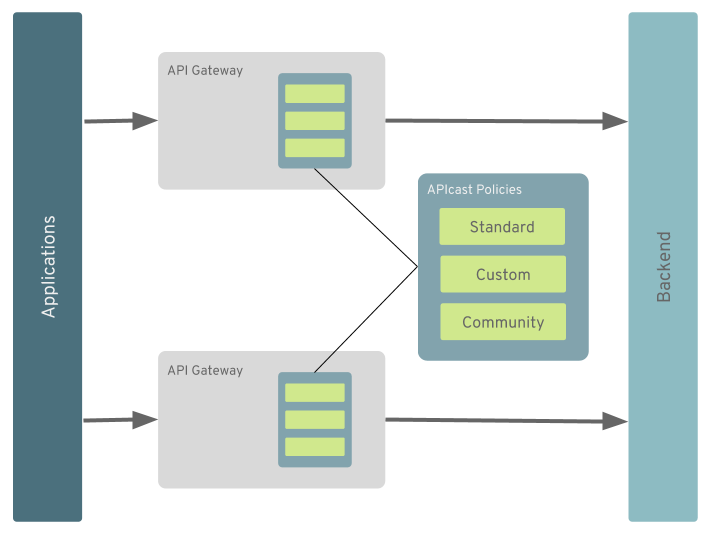 It shows an overview on how to enable standard policies in 3scale API Management.